At 5:31 pm the department was dispatched to a reported structure fire in Belle Mead off of Millstone-River Road. First arriving units from 45 Fire determined the fire was primarily in the attic and quickly got to work along with units from 53 Fire to bring the fire under control. 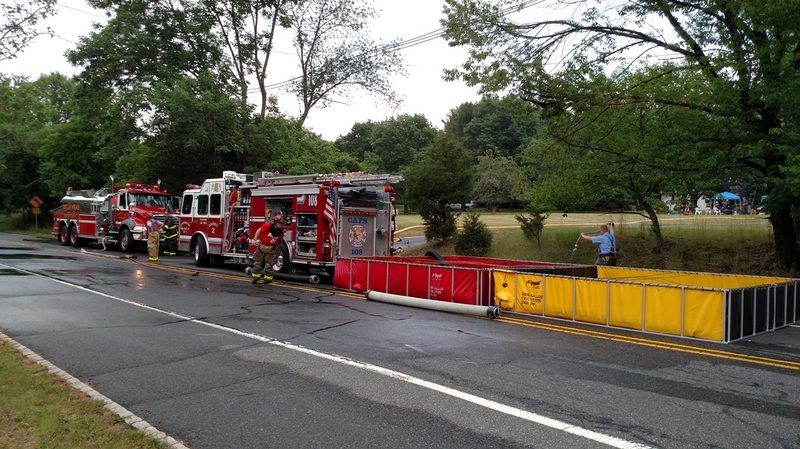 The Somerset Co. Tender Task Force was activated to provide water for fire operations as there were no hydrants in the area. 46 Fire units were used for water supply operations and manpower. 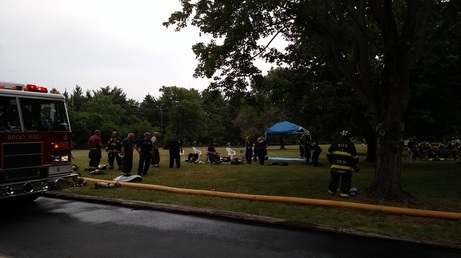 The fire was mostly contained to the affected attic due to the quick response from all responding agencies. At 5:37am the department was dispatched to an overturned tractor trailer on Rt. 601 between Skillman Rd. and Sunset Rd. 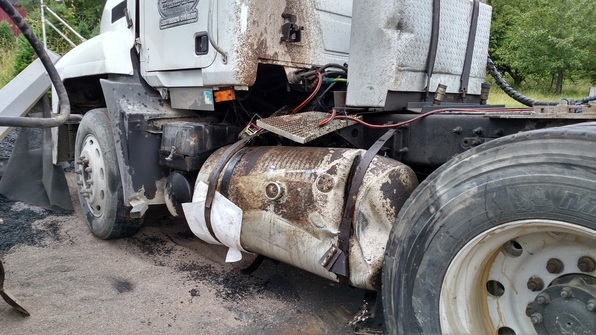 The tractor had ruptured at least one of its saddle tanks in the accident causing diesel fuel to leak onto the side of the road. 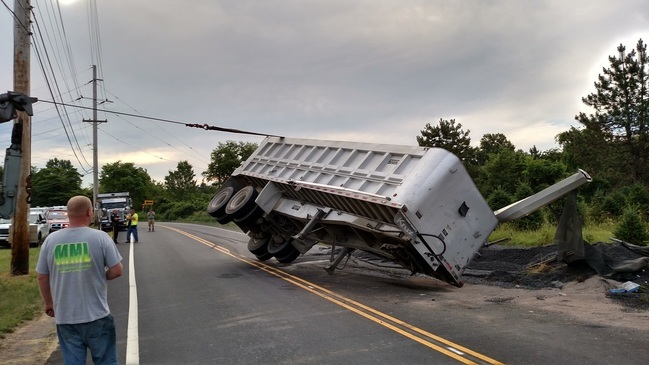 Somerset County HAZMAT, along with the members Montgomery Fire Companies 1 and 2 were able to contain the leak and properly dispose of the contaminated roadway and soil. 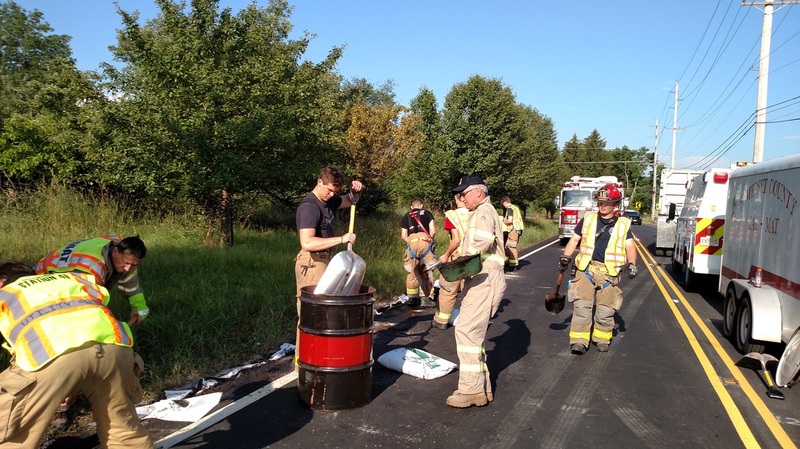 Several local companies assisted in the removal of the vehicle as well as its load of gravel. The driver was taken to the hospital by MEMS with minor injuries. On April 16 at almost 9pm. 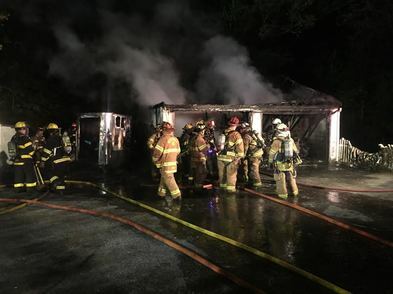 Both Montgomery Township Fire Department Volunteer members were alerted to a garage fire on Marian Dr. Located in Station 45's District. One of 45's officers was just down the street and reported the garage to be fully involved and to request a full first alarm. 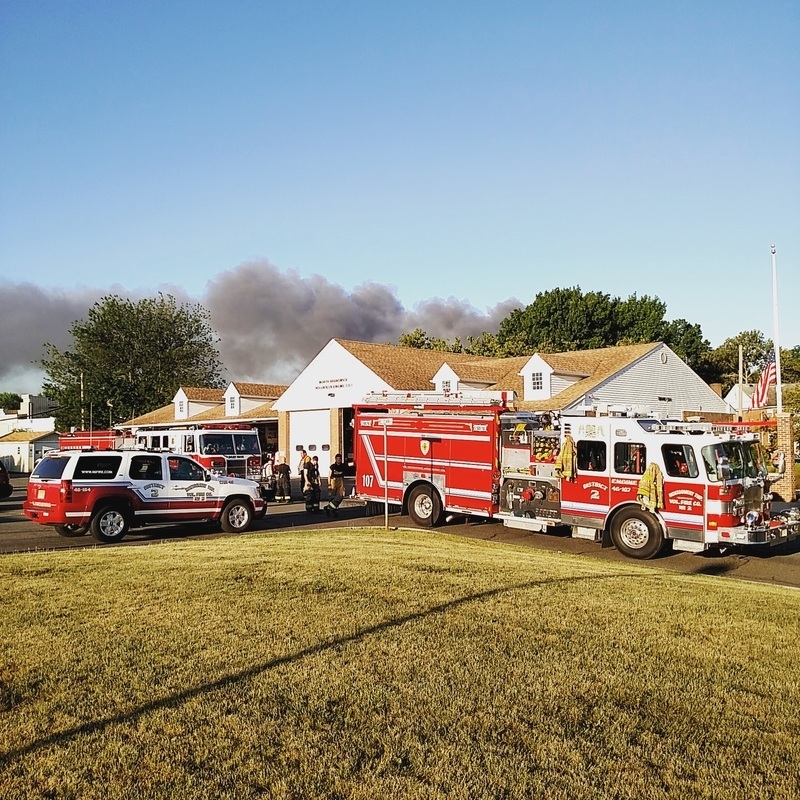 After the first Chief arrived on scene, he requested a Second Alarm assignment, fearing the fire had spread into the attached living space of the home. Station 45's Engine was the first on location and stretched a handline to the front door and a handline to the garage. 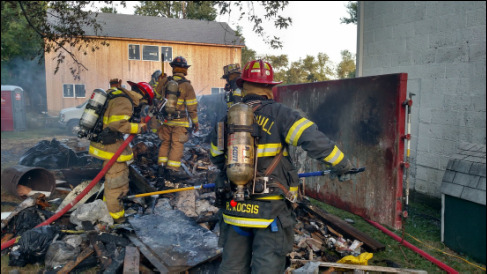 Their crew began attacking the large fire which was engulfing the garage. Engine 46-7 was the next due on scene and their crew used the handline at the front door to make entry into the home. The crew utilized pike poles to open up the ceiling in the living and dining room which was adjacent to the garage. The crews found that the fire had made its way into the attic. 46's Engine crew aggressively attacked the fire from the interior and continued to open up the ceilings to prevent the fire from spreading. With the assistance from another crew from Station 45, they were able to stop the advancement of the fire in the attic. Unfortunately the home sustained a lot of fire damage and smoke damage. Crews made every attempt to salvage the home owners belongings. Excellent teamwork between all companies on scene contributed to the successful extinguishment of the fire without any injuries. It is with deep regret that we announce the passing of Charter Member Claude Lewis. Claude passed away peacefully on Sunday April, 3rd 2016. Claude was born on January 19th, 1925 in Montgomery Township. Claude was a past Chief, President, Commissioner, Trustee and the last surviving charter member. He had faithfully served the citizens of Montgomery Township for almost 70 years before retiring from active service as Fire Police Captain in 2015. 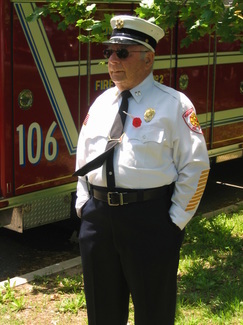 Claude was a role model for the Fire Company, brightening up our day with his smile and laugh. His mentorship will be greatly missed. Not only did Claude serve the citizens of Montgomery Township, but he served the citizens of the United States when he enlisted in the United States Navy during World War II. In addition to being a firefighter in Montgomery, He was also a Police Officer in the Township. Claude was an active member in the Elks Club, Veterans of Foreign Wars and the Montgomery Township Veterans Association and was the recipient of numerous Local, State and National Awards. Calling hours for Claude Lewis will be Saturday April 9th from 9AM to 11AM at Station 46, located at 529 Route 518 Skillman NJ, 08558. Burial ceremony will follow at the Rocky Hill Cemetery. In lieu of flowers, Claude’s family wishes that donations are made to Montgomery Township Volunteer Fire Company Number 2 in his honor. January 21st, 2016. At 9:07Am Stations 46, 45, 53 and 47EMS were dispatched to 391 County Route 518 for a possible chimney fire. Chief 46 was first on scene and determined there was a very heavy smoke condition coming from the second floor of an attached apartment. A minute later the second floor window gave out and Chief 46 was able to see active fire. The balance of the first alarm was filled. Engine 46-7 was the first engine on scene. The crew of 46-7 pulled a CAFS hand line and went to work. The fire was under control in just a few minutes. Extensive overhaul operations took place. Mutual Aid Companies that assisted were Hopewell, Hillsborough, Kingston, and Griggstown. Mid-morning on November 2nd, both Montgomery companies and Rocky Hill responded into Station 46's local for a reported oven fire. 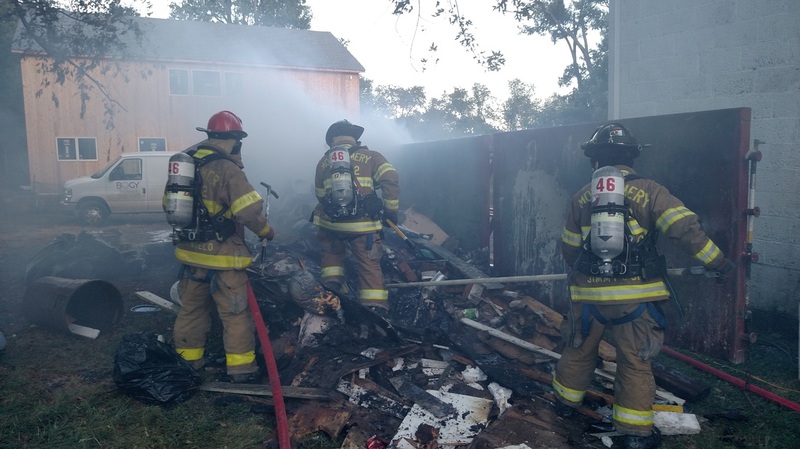 The burning materials were extinguished quickly and removed from the home with only heat damage to the surrounding area. Shortly after the sun set on Monday, several tones sounded, summoning the Montgomery & Rocky Hill volunteer firefighters for a house fire in Station 46's local. Command units arrived to find smoke showing from a house and quickly upgraded to a full first alarm, summoning additional firefighters from Hillsborough and Hopewell. 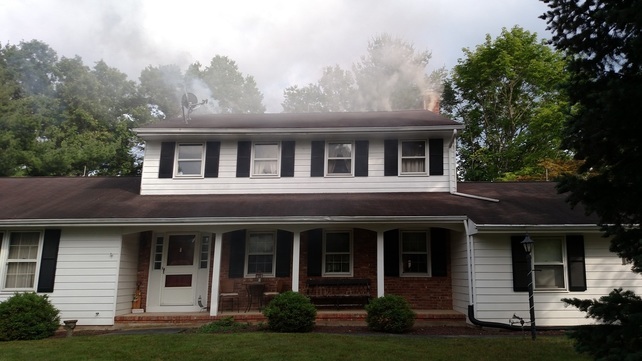 An electrical fire was discovered in the attic, which quickly filled the home with smoke. Firefighters were able to quickly extinguish the fire and investigate for any extension. Rehab was provided to firefighters by Montgomery EMS. October 4th 7:30PM, Station 46 was requested into Mercer County, Hopewell township for a working structure fire. Upon arrival Chief 46 was assigned accountability and several firefighters from Engine 468 were sent to the manpower pool. 46 units were on scene for a little over an hour. 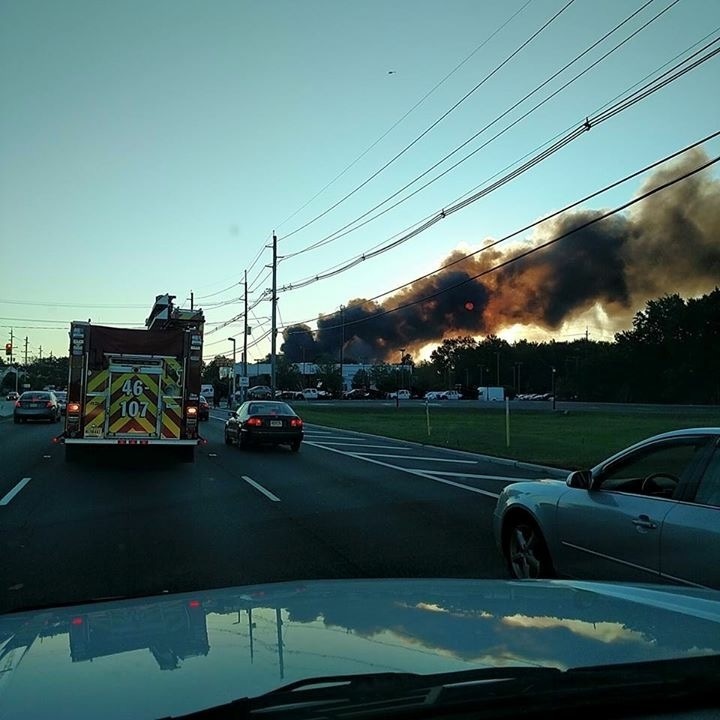 July 22 5:54 AM, Engine 467 was requested into Middlesex county to cover North Brunswick Fire Co 1. Upon arrival at the cover assignment, Engine 467 was assigned to deploy a tanker fill site on Farrington Lake. The Crew filled tankers from about 7:30AM until 10:30PM. Our math shows we pumped well over 330,000 gallons of water.